Immunizations can save your pet’s life. Diseases that once caused severe illness and even death in massive numbers now have a much lower incidence of occurrence. Because vaccinated animals are at minimal risk for catching one of these dreaded diseases, they live much longer and healthier lives, and they do not put other animals at risk for catching these illnesses. Examples of such diseases are rabiesA contagious and fatal viral disease of dogs and other mammals that causes madness and convulsions, transmissible through the saliva to humans., canine distemperA viral disease of some animals, especially dogs, causing fever, coughing, and catarrh. and parvovirus, and feline leukemiaIs a disease that only affects cats. It is passed from one cat to another through saliva, blood, and to some extent, urine and feces.. Keep in mind that many diseases can be carried and transmitted by wildlife, such as skunks, raccoons and possums—animals that our pets are likely to encounter when outdoors. Vaccines are very safe and effective. There have been significant advances made in vaccine technology during the past 50-plus years. The protection provided by many immunizations may last for many years, and the risk of serious adverse side effects is very low. The most common side effects, such as pain at the injection site or lethargy for a day or two, are much less traumatic than the effects of the disease itself. Immunizing your pet will save you time and money. Many preventable diseases result in prolonged hospitalization, time taken off work or away from your family and higher veterinary bills. Some result in permanent deficits or ongoing problems with your pet that will require a long-term commitment of time and financial resources to maintain your pet’s quality of life. Other vaccine-preventable diseases result in death. Many vaccines will prevent a disease from occurring when your dog or cat is exposed. Others may not totally prevent the disease, but they will temper the infection so the symptoms are much milder. This can be the difference in your pet spending days in the hospital as opposed to being treated at home with oral medications and supportive care by you. You and your Texas veterinarian should discuss your lifestyle and that of your pets to determine which immunizations are to be administered. The American Animal Hospital Association (AAHA) and the American Association of Feline Practitioners (AAFP) have released guidelines on vaccinating dogs and cats and their importance. In general, there are core vaccines that every dog or cat should get and non-core vaccines that are administered based on an individual’s risk factors. Because maternal antibodies can block the onset of a vaccine’s protective ability, puppies and kittens receive a series of immunizations to ensure their protection. The core vaccines for puppies include distemper, parvovirus and adenovirus. These should be administered every three to four weeks between the ages of six to 16 weeks and then again one year later. Following that booster, the current recommendation is to boost these immunizations at three-year intervals. The core vaccines for kittens include rhinotracheitisIs an upper respiratory or pulmonary infection of cats caused by feline herpesvirus 1., calicivirusIs a virus that is an important cause of upper respiratory infections and oral disease in cats., panleukopeniaIs a parvovirus very similar in structure to canine parvovirus. It is highly contagious and extremely resistant to disinfectants and temperature extremes. (FVRCP), which are given every three to four weeks between the ages of six and 16 weeks, and feline leukemiaIs a disease that only affects cats. It is passed from one cat to another through saliva, blood, and to some extent, urine and feces., which is given in two doses three to four weeks apart after the kitten is eight weeks old. The FVRCP should be boosted one year after completion of the initial series and then every three years. The feline leukemia vaccine should be boosted one year after the initial series and then annually in cats who continue to be at high risk. 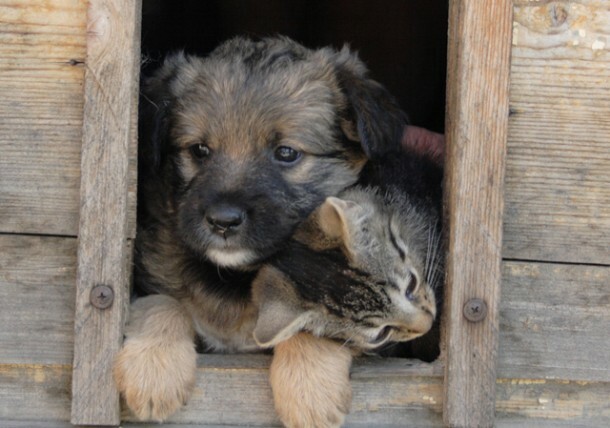 Rabies is a core immunization in both dogs and cats. It is initially given no earlier than 12 weeks of age and then boosted one year later. Because rabies is a public-health hazard and is fatal to humans, there are laws dictating the frequency of rabies vaccination in Texas. There are rabies vaccines with one-year labels and those with three-year labels. In general, once a dog or cat has received two rabies immunizations less than 365 days apart (that is key), that animal can either receive a one-year rabies annually or a three-year rabies triennially. 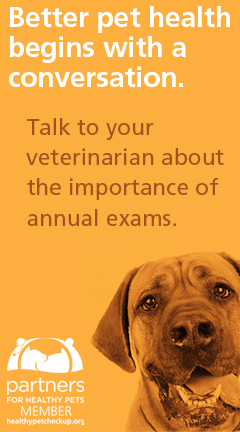 Municipal or county rules may be stricter than state law so it is important to discuss this with your veterinarian. Other immunizations that may be given depending on your pet’s lifestyle include BordetellaIs a very highly contagious respiratory disease among dogs. It causes inflammation of the trachea and bronchi. (kennel cough), canine influenza, Lyme diseaseAn inflammatory disease characterized at first by a rash, caused by bacteria that are transmitted by ticks., rattlesnake vaccine, LeptospiraIs a rare bacterial infection. It is most commonly transmitted from animals to humans when people with unhealed breaks in the skin, come into contact with water or soil that has been contaminated with animal urine. and feline chlamydiaIs a chronic upper respiratory disease caused by bacterial infection.. Be honest with your veterinarian about how often your pet travels with you, if it regularly goes to the groomer or dog park or if your cat wanders outside (or even slips through the open door or just hangs out on your porch). It’s also important that your Texas veterinarian know if your pet hunts or interacts with wildlife, drinks from puddles or eats the feces of other animals and if your cat fights with other neighborhood felines. Immunizations are vital to your Texas pet’s health. 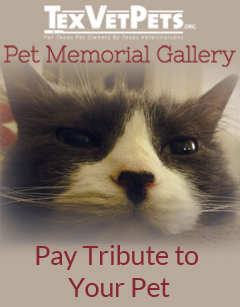 Speak with your local Texas veterinarian to determine the vaccinations that your pet needs.